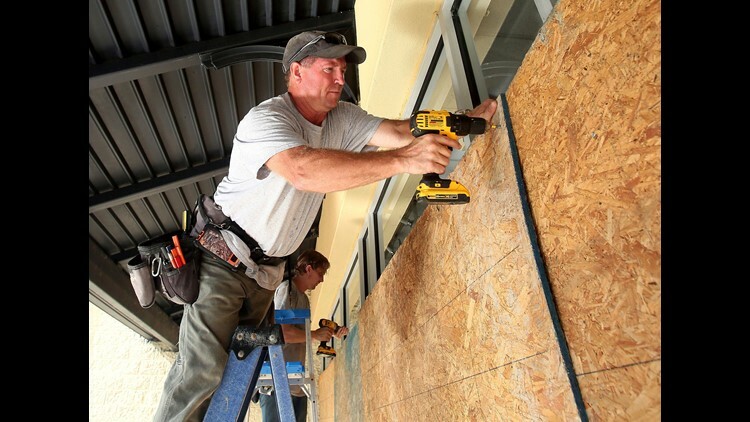 Michael Waldo, top, owner of Waldo the Framer Construction, and Robert McKeehan cover the storefront windows of Catherine's Plus Sizes with plywood on Wednesday, Sept. 12, 2018, at Cobb Corners in Rocky Mount, N.C., in preparation for Hurricane Florence. WASHINGTON – Hurricane Florence is more than just the latest disaster confronting FEMA. It's a chance at redemption for an agency widely criticized for its response to Hurricane Maria when it struck Puerto Rico nearly a year ago. Record storm surges have been forecast. Massive damage to homes and infrastructure is expected. Devastating inland flooding is predicted. Power could be out for weeks. If federal responders were looking to show they can handle the worst, Florence is shaping up as a formidable test. Which also means that a successful recovery could help restore a bit of FEMA's luster as it struggles to emerge from the shadow of Maria, which led to the deaths of nearly 3,000 people. But the task has been complicated by President Donald Trump’s recent praise for his administration's response to Maria – drawing attention to what's seen as a dark chapter for the agency rather than focusing on the robust response it's assembling for Florence. The position in which the agency finds itself now is not unlike a decade ago, when its reputation was tarnished by Hurricane Katrina, said Craig Fugate, the FEMA administrator under President Barack Obama. Fugate came on board more than three years after Katrina, but the shadow of criticism from the agency's response to that devastating storm still loomed years after his arrival. "I cannot change what people think," Fugate told USA TODAY. "I cannot go back and change what happened in Katrina, just like (current FEMA chief) Brock (Long) cannot go back and change what happened in Maria." "But the agency's got to focus on the disasters in front of them, and we constantly improve and get better and then get challenged in ways we never expected. When we fall down, we have to get up and go again." Long and other FEMA officials have avoided dwelling on Maria, or making comparisons with Florence. Trump has not been so shy. His claim Thursday morning that Maria's death toll was severely inflated by political opponents – which followed an earlier claim that his administration's response in Puerto Rico was an "unsung success" – infuriated critics on the island and beyond, who say FEMA should have done more to save lives. San Juan Mayor Carmen Yulín Cruz on Thursday called the president "delusional, paranoid and unhinged from any sense of reality." Sen. Marco Rubio, a Florida Republican, lamented that the deaths had become political. "Both Fed & local gov made mistakes," Rubio tweeted. "We all need to stop the blame game & focus on recovery, helping those still hurting & fixing the mistakes." • The agency isn't preoccupied with other catastrophic storms. When Maria hit Puerto Rico last year, it the third major hurricane to strike U.S. territory in less than a month. FEMA officials acknowledge they were short-staffed for Maria, in part because they were managing response and recovery for Harvey in Texas and Irma in Florida. While the agency is dealing with several smaller emergencies around the country right now, it can provide a robust response to Florence. • The Carolinas don't present the logistical challenge an island like Puerto Rico did. People, supplies and equipment can be delivered by road, not just air and sea. That should make recovery much easier, cutting down on the potential loss of life and improving the ability to restore power. FEMA officials predict some places in the Carolinas could be without power for weeks, but it took months to get most of Puerto Rico back on line. In addition, the presence of large military bases, especially Fort Bragg in Fayetteville, North Carolina, near the South Carolina border, that can be converted into distribution centers and staging areas should make the job of emergency responders much smoother. President Donald Trump tours a neighborhood damaged in Hurricane Maria Oct. 3, 2017, in Guaynabo, Puerto Rico. • North Carolina, in particular, has a well-respected and seasoned emergency management team in place. Mike Sprayberry, who heads the North Carolina Emergency Management office, is the current president of the national association of emergency managers. Fugate called Sprayberry's crew "one of the top in the nation." FEMA's role is to help states lead disaster response and recovery – not to lead the effort itself. The agency shouldered a much larger share of the work during Maria than usual because Puerto Rico's effort was hobbled by the island's failing communication system and transportation network. • FEMA has had the opportunity to learn from the lessons of Maria. In a report issued in July, FEMA acknowledged staffing shortages and logistical challenges in responding to Maria. "FEMA began incorporating lessons in real time as they were identified and continues to do so to prepare for the 2018 hurricane season," Long wrote in a column last month for USA TODAY. "We have substantially increased stockpiles of resources across the nation, focusing on remote, hard-to-reach locations." 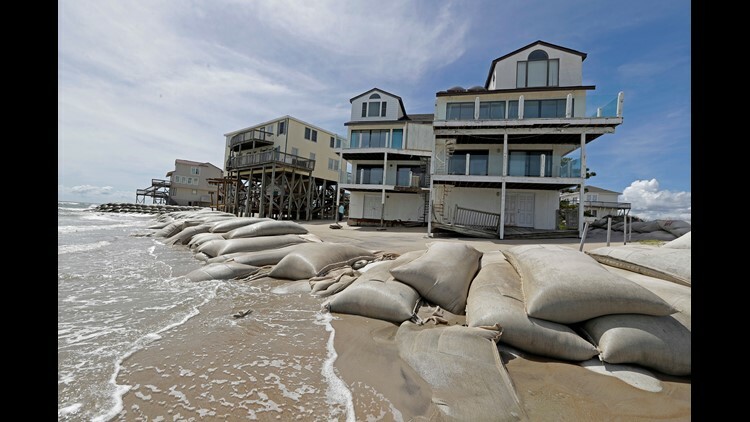 Sand bags surround homes on North Topsail Beach, N.C., Wednesday, Sept. 12, 2018, as Hurricane Florence threatens the coast. Retired Army Col. Paul B. Olsen, a hurricane expert at Old Dominion University in Norfolk, Virginia, said every disaster response can have its negative moments. The important factor is how FEMA evolves from one response and recovery to the next. "You gather best practices and lessons learned, and you make sure that when you execute it the next time, it's even better," said Olsen, who commanded the Norfolk District for the U.S. Army Corps of Engineers. "You don't grade yourself on your last hurricane. You grade yourself on how well you are prepared for the next one." FEMA will have to overcome some challenges. It's not fully staffed, including in its leadership ranks. Only one of three deputy administrator positions, for example, has a confirmed appointee in place, Virginia Tech disaster recovery expert Patrick Roberts wrote on his website. “Appointees are important for bridging the gap between career staff and the political priorities of the White House," he said. The Government Accountability Office reported last week that 54 percent of FEMA workers last October, at the height of deployments, were serving in a job they were not "qualified" to hold. 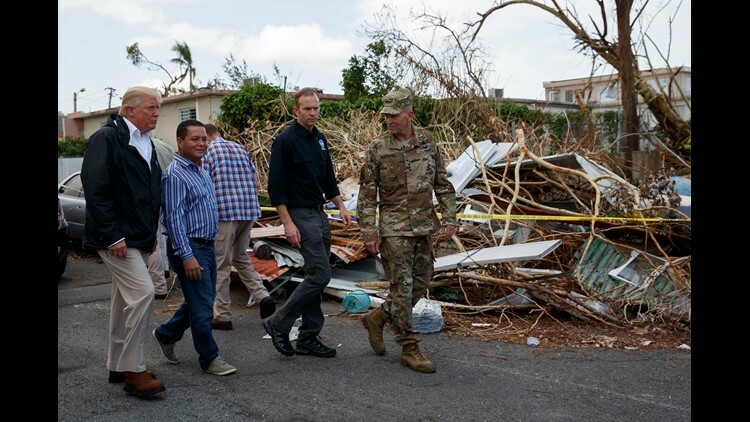 "FEMA officials noted that staff shortages and lack of trained personnel with program expertise led to complications in its response efforts, particularly after Hurricane Maria," the GAO concluded. Long downplayed the significance of that finding. He told MSNBC this week that it's "being taken way out of context" because its definitions of "qualified" were overly strict. Congressional Democrats criticized the Trump administration this week after learning it transferred nearly $10 million from FEMA's budget this summer to help boost U.S. Immigration and Customs Enforcement. Byard, the FEMA associate administrator, said Wednesday there's "plenty of resources" to respond to Florence. He pointed to the federal Disaster Relief Fund, which has more than $26 billion. Long vigorously defended FEMA's response to Maria. "We kept Puerto Rico from total collapse as a result of Maria," he told MSNBC. "Any time that FEMA goes into an event and we're the first responder – and only responder for many months – that's not a desirable situation." A robust and successful response to and recovery from Florence is crucial, said Rep. Sheila Jackson-Lee, D-Texas. But "it won’t erase the lives that are lost," she said.